Olga grew up in the Ukraine and struggled with her weight as a child often “Yo-Yoing” with fad diets. When she came to the U.S. in 1996 – she was at her heaviest and took control! She joined a gym, hired a personal trainer, got smart about nutrition and got ADDICTED to spinning. Like a lot of us – she loves the sound of clipping in! Spinning helped Olga drop 100 pounds and stay fit. After filling in to teach a class one day, Olga got certified as a spin instructor and eventually Pilates, bosu and TRX. She is also continuing her Physical Therapy education at SDSU. She loves her family and friends and teaching people – helping them to achieve their goals, whatever they may be. 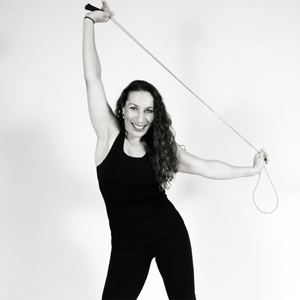 If you haven’t taken a class from Olga, you should know – she’s tough, motivational and a whole lotta crazy! And that’s why we love her. Teaching is my passion. I believe with proper training anyone can achieve any goal. Challenging, fun, and always with major focus on the form.